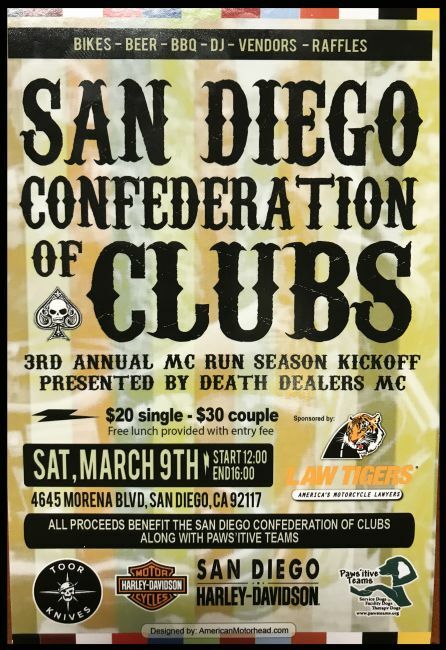 Join us for the San Diego Confederation of Clubs Annual MC Run Season Kickoff Party. There will be Live Music, Food, Vendors, Gift Baskets and Raffles! *All proceeds benefit the SD COC along with Paws'itive teams.